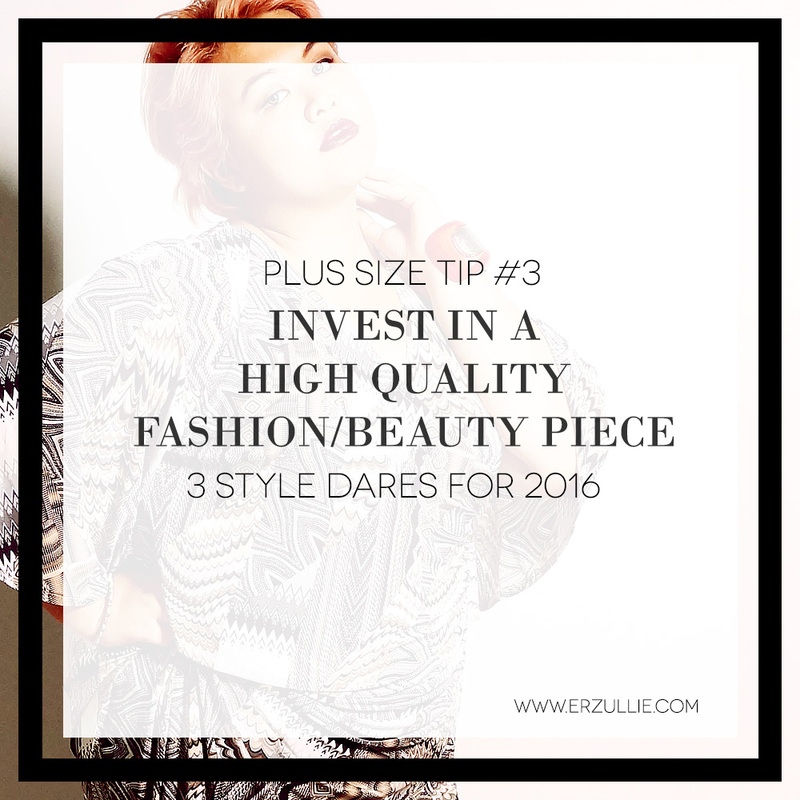 PLUS SIZE STYLE: 3 STYLE DARES FOR 2016! Getting bored with your current style? How about doing some style dares? Check out the list below! Pick an item that you haven’t worn in a while but is still in good condition. Find ways to rejuvenate it by having it altered. Turn an a-line dress into a top. Turn a midi skirt into a mini! Go to an amazing tailor and consult what you can do for it. We know that you got your personal style down to a T, but how about a little adventure to the unknown? Try to copy or emulate your favorite style icon's look or OOTD for a day and see the reactions. Everyone loves a cheap thrill. Unfortunately, those things don’t usually last and if you compile all of your expenses --- you just threw a lot of your money away. So why not, for once invest in a high quality bag/shoe/blazer/dress/top etc. that you know you’re going to use almost daily?